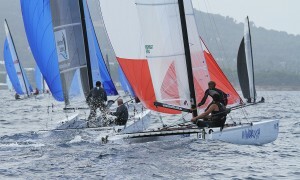 Light winds greeted the sailors when they arrived at the beach this morning for the fourth day of the Tornado World Championships. The humidity and cloud cover was keeping the wind from appearing. A postponement was put up at 1pm for a short period of time while the race committee waited for the wind, it came very quickly with the AP flag being taken down at 1.15pm with the sea breeze and sun arriving. 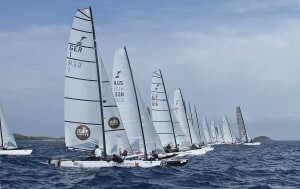 The 1st race start lead to a general recall with too many boats over the start. The race finally got off to a clean start with the race committee deciding on a black flag to try and hold the competitors back. Again, much like the other races in the series it was the Greek Red Bull team of Iordanis Paschalidis and Konstantinos Trigonis who took the victory followed by Roland and Nahid Gaebler. After the 1st race there was a 180 degree wind shift and increase in pressure. Once the course had been moved the sequence started only for the AP flag to appear 10 seconds before the start of the race. 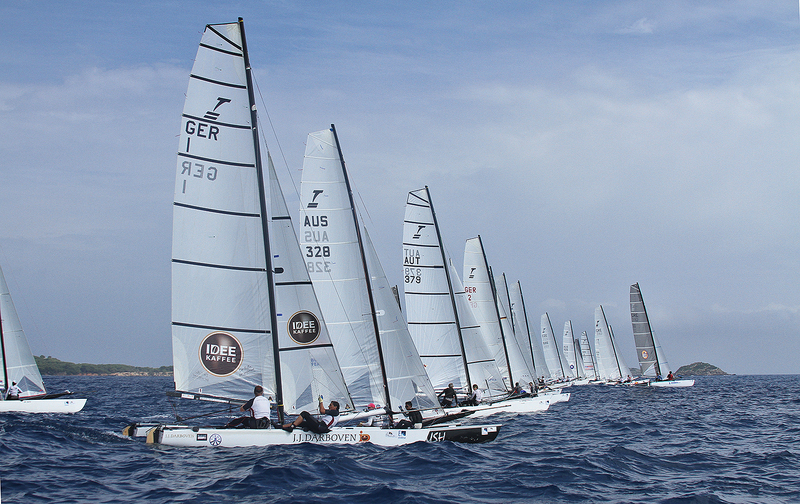 After another delay the sequence was started again and the race got off to a clean start. With a combination of the wind dropping throughout the race and the big waves staying the racing was getting harder and harder for the competitors. For the last competitors the race turned into a drifting race to the finish in less than 3 knots of wind. The race was won by Nikolas Mauros and Alexandros Tagaropoulos followed by Iordanis Paschalidis and Konstantinos Trigonis then Brett Burvill and Faris Aznan. 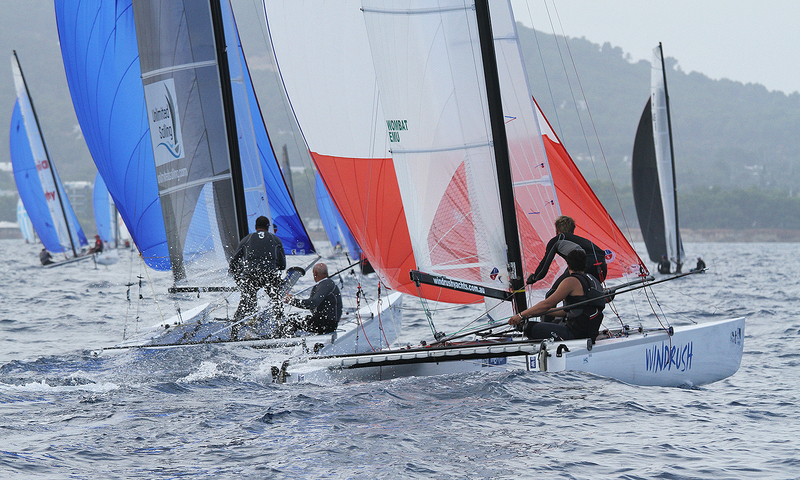 Saturday is the last day of the championships with another two races scheduled.